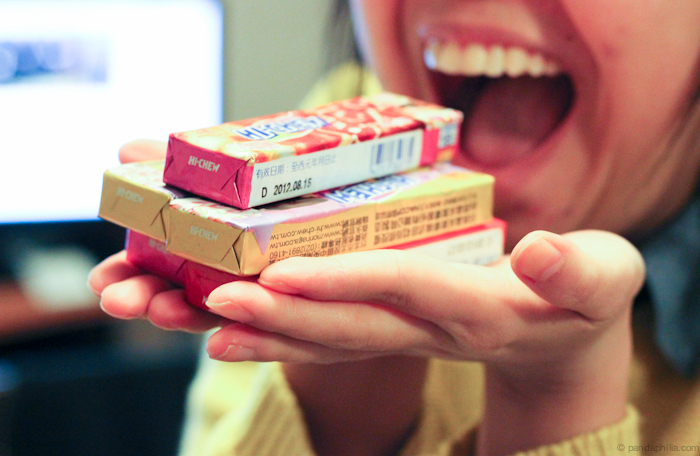 You love some Asian treats! Yum! Oh my gosh they're my favourite!! Strawberry and Grape all the way! 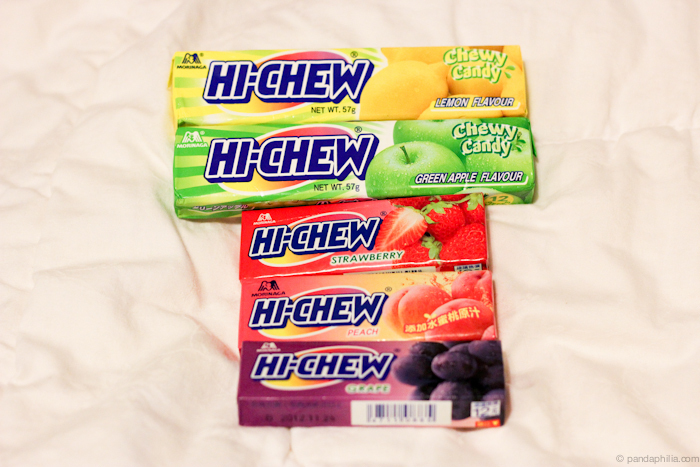 Yummm Hi-Chew!!! I always loved the mango, but you've got me tempted by pudding and cola. I should probably move to Japan. I wanted those flavored KitKats too!! wow that's a lot xD !!! 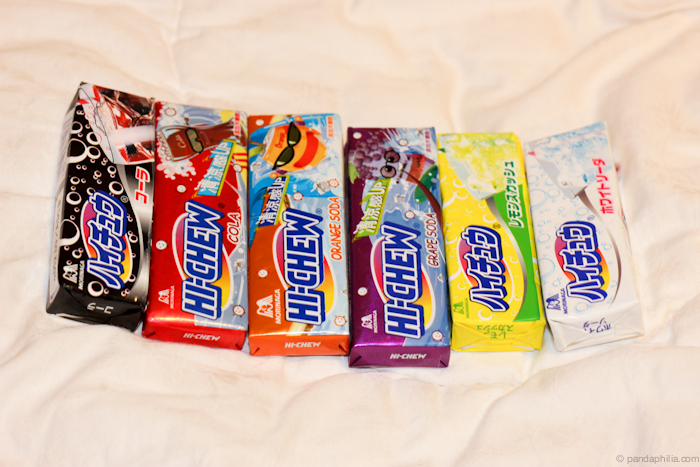 omggg so many interesting flavors that i wanna try!! 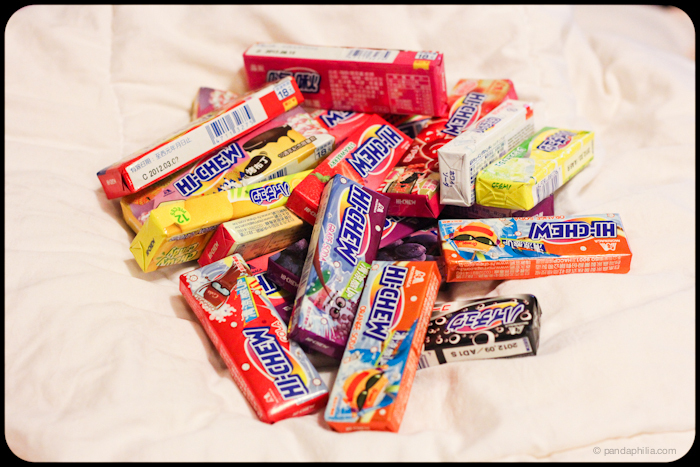 ahh you are so lucky :p i love hi-chews! 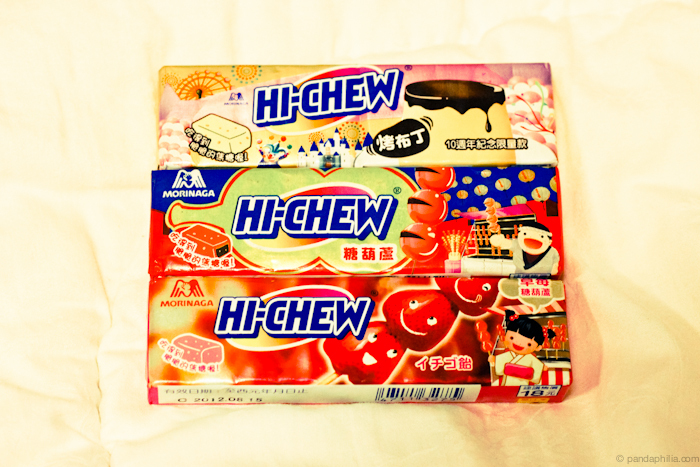 I love Hi Chews...so chewy and fruity!